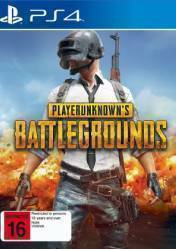 Attention: This version of PLAYERUNKNOWNS BATTLEGROUNDS is for PS4 and many of the stores listed in Gocdkeys, where you will find the best internet prices for this game and many others, offer a version in account format. PS4 accounts give access to the game simply by accessing them through a username and password that you will receive by email after purchase. These versions may have a regional block and are marked with the "Account Format" label in our price list. The now mythical PUBG comes to PS4, so get ready to enjoy one of the most played Battle Royale of recent years. We will face players from all over the world in bloody battles of all against all, in a huge map in which we must collect all kinds of material and weapons to survive. Access the abandoned houses and find the necessary weaponry to face the rest of the players. Improve your weaponry to have more options for survival and do not stop investigating any structure you see, as it could hide not only enemies, but also an incalculable booty. As the game progresses, the combat zone will be reduced, forcing us to face all surviving players until there is only one left. There are no comments yet about PLAYERUNKNOWNS BATTLEGROUNDS. You can be the first one!